6th Prize: 10 metres fabric sponsored by PK Fabrics. 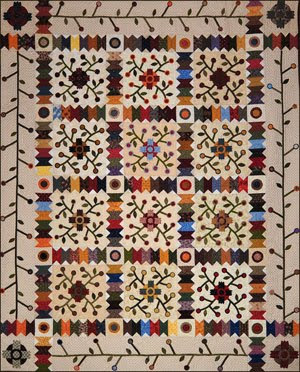 The raffle quilt design is based on the pattern "Prairie Primrose" from the book "Simple Traditions". Copyright 2006 by Kim Diehl and permission granted by Martingale and Company for one time use only.